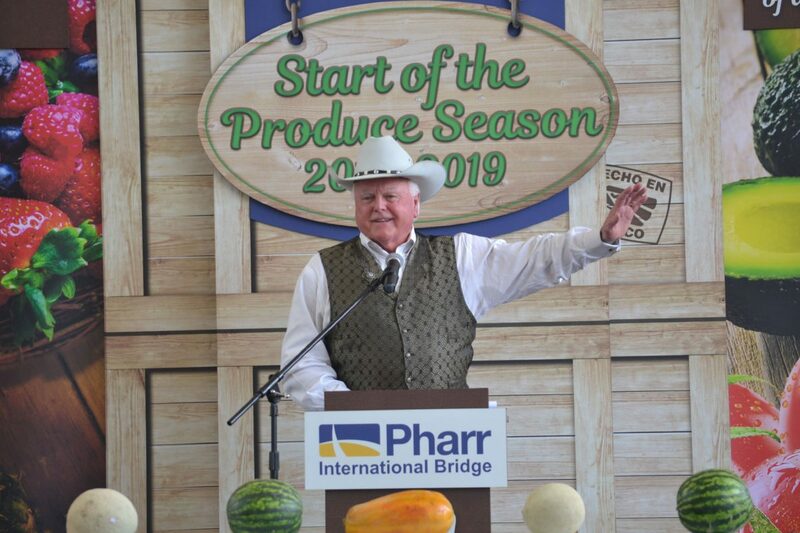 PHARR — The state’s highest elected cowboy, sliced vegetables and a blessing on an international bridge brought in the 2018-19 produce season on Thursday at the place where the most harvest enters the United States. Local, state, federal and Mexican representatives made up the audience on the United States side of the Pharr-Reynosa International Bridge, which crosses more than 60 percent of all produce from Mexico into the United States. While the trade industry had been operating with some uncertainty since President Trump’s election, and not knowing the future of the North American Free Trade Agreement, trucks still crossed Pharr’s bridge with great frequency. Nearly every month over the last year had seen more than 50,000 trucks cross from Mexico to the country. Texas Agriculture Commissioner Sid Miller, who the president once tweeted was “Trump’s man in Texas,” noted during his speech that 8,000 jobs are tied to produce crossing Pharr’s bridge. Texas Ag Commissioner Sid Miller delivers the keynote speech to kick-off the start of the 2018-19 produce season in Pharr. Miller, who’s facing a November challenge from Democrat Kim Olson, noticed an old-fashioned red pickup truck off to the side of the stage. Gary Rodriguez, Pharr’s media director who emceed the event, called Miller one of the state’s most important cowboys. Rodriguez also introduced all the representatives from various local, state and federal elected officials. U.S. Sens. John Cornyn and Ted Cruz both sent staff, who Rodriguez acknowledged. Rodriguez gushed about Cornyn’s work and friendship with the bridge. When mentioning Cruz’s representative on hand, Rodriguez simply noted the official’s presence. The speakers at Thursday’s event included Miller, Pharr Mayor Ambrosio Hernandez, bridge director Luis Bazan and Texas International Produce Association President Dante Galeazzi. None of them talked much about the updated NAFTA agreement Trump announced recently. Called the United States-Mexico-Canada Agreement, those in the trade industry didn’t seem too worried about much changing. 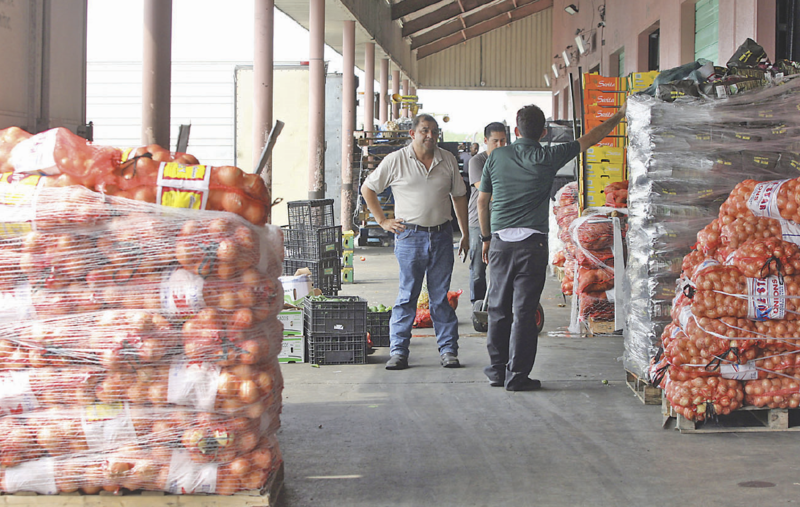 Juan Jesús Sánchez Miller, who was in town from the western Mexico state of Sinaloa for the event, was optimistic about produce continuing to flow through Pharr.